Adam Jones bunt was a playful joke at a close friend, but Diamondbacks manager Torey Lovullo sees it as an indication of his overall attitude. Several established big-leaguers and even a few elite players remain unsigned even more than two weeks into the 2019 season. 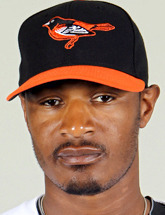 Diamondbacks right fielder Adam Jones said a fan directed abusive language at him on Wednesday. Merrill Kelly won his big league debut at age 30 by throwing six strong innings and benefiting from an offensive outburst started by Adam Jones' leadoff homer to lead the Arizona Diamondbacks over the San Diego Padres 10-3 Saturday night.